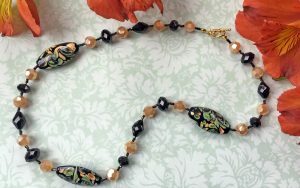 We did this piece for HGTV.com and it has been so popular! 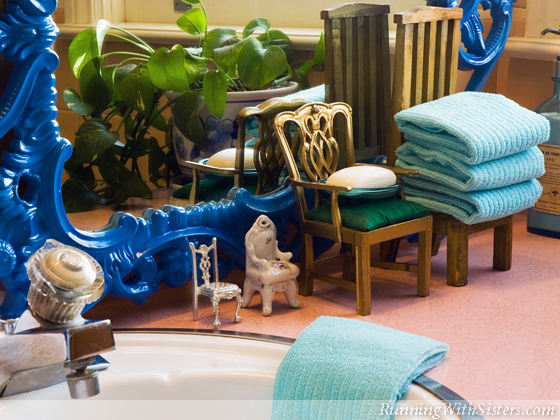 It is all about easy ways to mix vintage finds and collections into your décor. To maximize the impact of a collection, display all the pieces together in an unusual way. 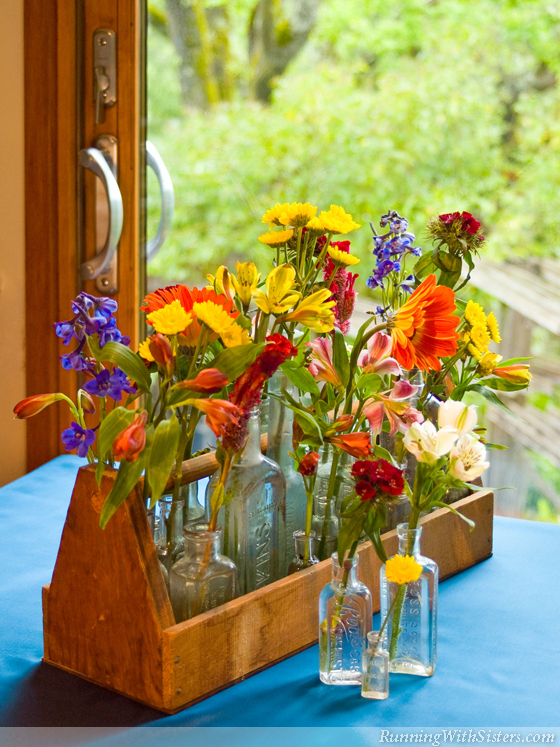 Two dozen apothecary bottles become an eye-catching centerpiece when placed in a rustic tool caddy. 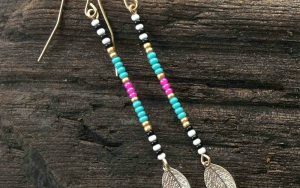 Add colorful wildflowers and a trendy turquoise tablecloth for a modern look with a homey feeling. Second-hand chairs are not only easy to make over, they’re also super cheap. 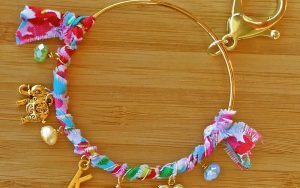 You can pick one up at a rummage sale, church bazaar, or garage sale for under $10. Just double-check that it isn’t broken and that the seat can be recovered easily. 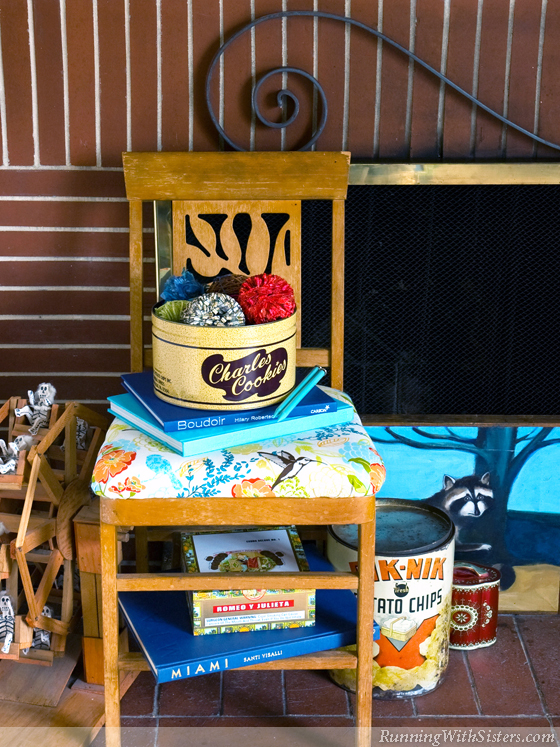 With some stylish fabric and a staple gun, you can have an instant occasional chair or a kooky side table! When it comes to shopping for used furniture, imagination is key. 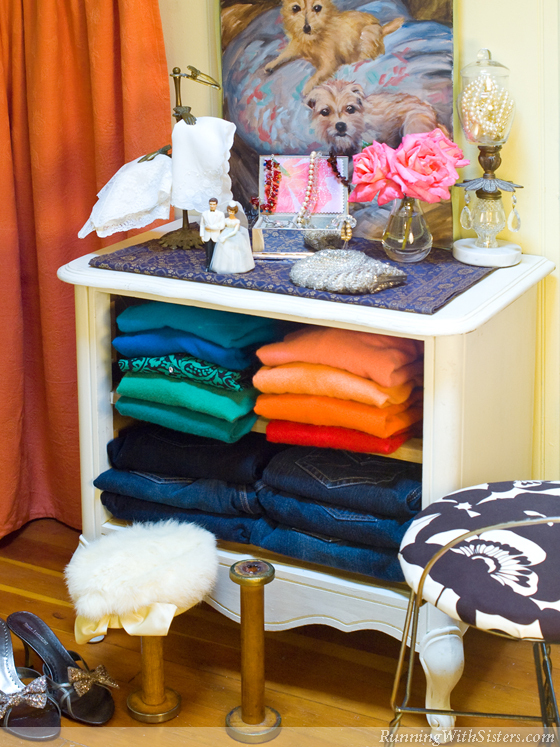 A dresser with missing drawers might seem like trash, but if it still has shelves, it can be a treasure! Give it a fresh coat of paint, and you’ve got a whimsical bureau for your boudoir! 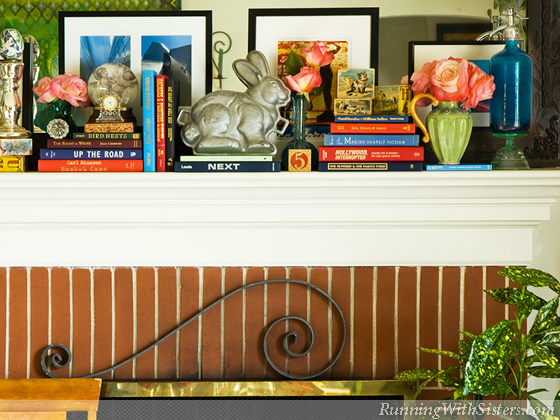 The mantel is prime territory for decorating. Don’t waste this valuable space on a single vase and photo. Instead, create a gallery with framed prints and one-of-a-kind collectibles. An antique chocolate bunny mold not only looks like a fine art sculpture, it’s a great conversation piece. Showcase smaller collectibles in niches to keep them from getting lost. 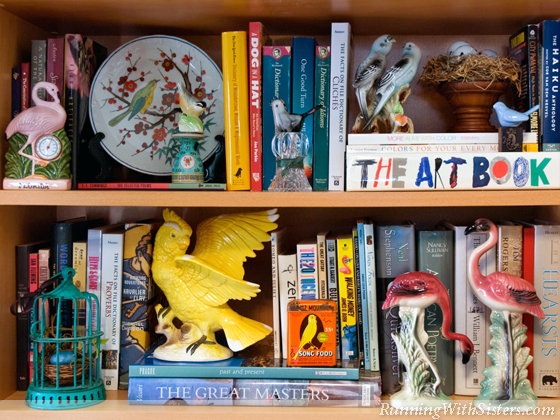 A bookcase is a natural roost for ceramic bird figurines when you nestle them in the spaces between the rows and stacks of books. 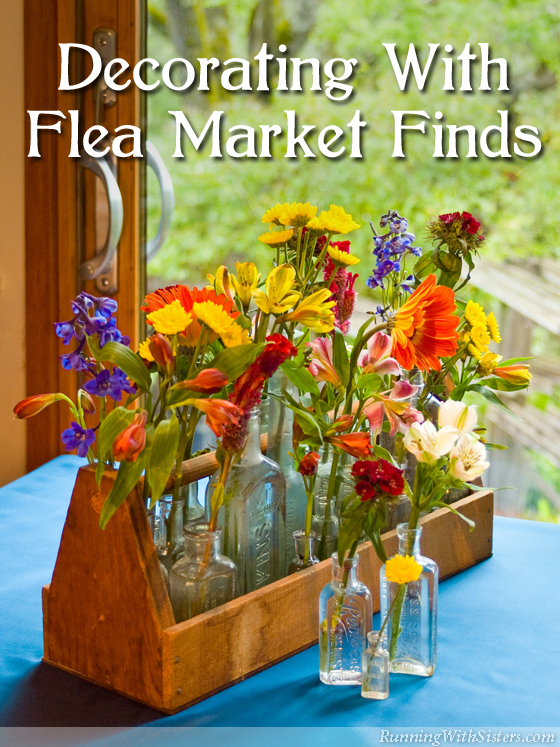 Give tiny items more stature by placing them on pedestals also made of flea market finds. Instead of buying a generic bin to sort your mail, why not opt for something vintage and unexpected? 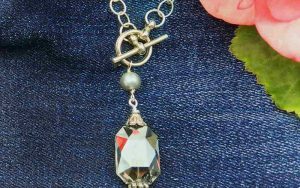 Go on a hunt at the antique faire for a safety deposit box, a cheese crate, or a narrow drawer from an old sewing table. 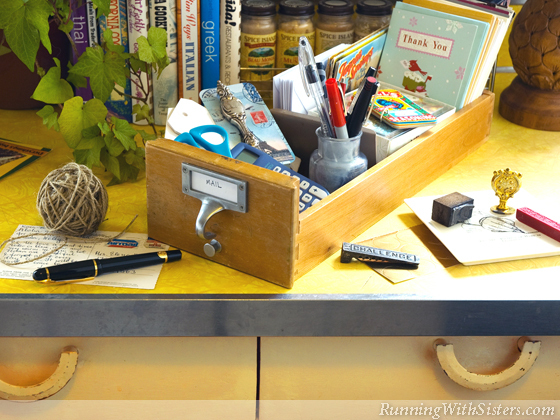 A plastic inbox might do the job, but a card catalog drawer has character! Want to get the best price on something? Buy it out of season. If you see a winter sled at a summer yard sale, that seller just wants to make room in the attic. 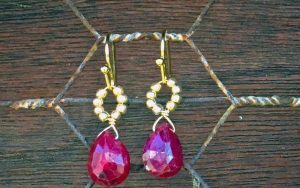 Make a lowball offer and you might get a steal! And don’t think you can’t use it till December. 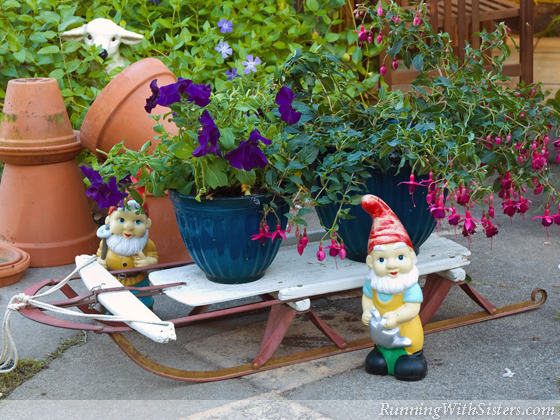 A sled loaded with plants is a garden delight any time of the year. Like it? Share it! We love getting pinned!